devorelebeaumonstre.com | Pittsburgh, PA | Fashion & Personal Style Blog by Stacey Belko: plndr giveaway - free shoes! plndr giveaway - free shoes! Do you like shoes? Do you like FREE shoes? (If you're not answering yes, then wtf?) Then you're in luck because PLNDR, a kickass flash sale site, is offering one lucky reader 2 pairs of shoes! Join PLNDR (it's free & literally takes 10 seconds). Leave a comment with your e-mail address so we can contact you if you win. Giveaway will be open until Tuesday, March 13th & a winner will be chosen using random.org. It's international, right? Hope so! YEAH I'm entering, this giveaway ROCKS !! Thank you for this amazing giveaway !!! I did all of the requirements, plus I follow you on twitter, and now I follow plndr. if this is international, i'd love to take part! i've done everything in the list above, including following you both on twitter. Awwwww I'm excited about this one!I love shoes..I'm starting up my own heels and boots collection! Hell yea I want free shoes! They're the best kind. Signed up, already following you on both, and now following plndr on twitter. Easy peasy! always waiting for free shoes! oh wow, what a chance! joining PLNDR web and following you through bloglovin.. I've been shopping on PLNDR for awhile now and I really love it! especially the first and second one. Made an account on PLNDR and following you on Bloglovin. Following both of you on twitter too: LaBohemeFille. 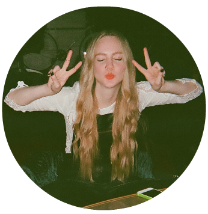 just joined, and I already follow you on bloglovin!! I registered on Plndr, I don't have bloglovin but I follow you on Google Friend Connect. I've registered on Plndr, followed on Bloglovin' and followed both you and Plndr on Twitter! i'm on plndr and follow you on bloglovin! I like free shoes. I dig free ANYTHING. I already follow you on Bloglovin and Twitter, but I also became a member of PLNDR and followed them on Twitter. My handle is @youre_a_tulle. Joined Plndr and already following you on Bloglovin! 2. following you on Bloglovin! 3. also followed you & PLNDR on Twitter. Joined & already following you on Bloglovin! Great looking shopping site. I've registered and am following your blog. just joined, am bloglovin' followin' and just followed via twitter too! yippee! Oh this is so great! Can't wait to see if I win!!!!! I've joined their website and followed you! Yeppe ki-yay!! I love that site...but since i'm currently unemployed...I couldn't buy anything from the awesome sales they had!! I love the Karmaloop family + their other ventures - Greg is a rad dude. I am already a PLNDR member + I follow your blog via Bloglovin' now. I already follow you via bloglovin' and now PLNDR too:) And i'm a member. I'm following on Google (Xandra), following on Twitter and Bloglovin (Xandratelier). waaa such a cool giveaway! who doesn't like shoes?? the shoes are rocks!!! I'm following on bloglovin' and following both you and PLNDR on twitter! :) Plus, I've signed up! I joined PLNDR and I follow you on bloglovin. these shoes are amazing! I dream about winning! I follow and I joined! I follow you and PLNDR on twitter too! WOW the shoes are totally lush! Joined and followed on Twitter too! I am already following you via bloglovin and followed on twitter too + joined PLNDR. Thanks for informing this on my blog! Done everything including the extra ones!! Btw is it open internationally? Thanks for the comment on my blog about your giveaway! I join PLNDR and now I'm following you on bloglovin'. Ohh I really enjoy PLNDR but haven't bought anything yet. I do check it quite often though! Sounds soo amazing! I wish so much new shoes! Hope I could win...! :)) I hope it is international...? Amazing shoes <3 I following you on bloglovin and twitter :) and following @PLNDR too! extra entry! follow also on twitter! awessommee!!! thanks for the heads up! Following your blog and joined PLNDR! Thank you for letting me know about the give away! And wish everyone a good luck to become a happy winner! Omg, their shoes are sick! I did all and I wish myself good luck. And I follow you and plndr on twitter. done! followed on twitter too. Dude, this is an AWESOME giveaway. How did I miss it? I'm a terrible blogger lately. Okay, joined, following you already on Bloglovin' and Twitter (duh) and I started following them. GIVE ME THE SHOOOOOOOOOEZZZZZZZZZZZZZ. Lol, I love your opening comment. Noone can hate free shoes! Already following you of course :) Also followed both on Twitter! Awesome shoes! I'd love to rock two pairs of those. I'm a follower of yours via Bloglovin and Twitter (@girlinthelens) and have followed PLNDR on Twitter too and signed up :) looks good! My email is girlinthelensblog@gmail.com. :-))) this is GREAT contest!! And I followed your blog, as well as the PLNDR. on the websites, as well as followed both PLNDR and you on twitter. wow, seriously love the Cheap Monday cut-outs!!! Thanks for the great give-away!! !